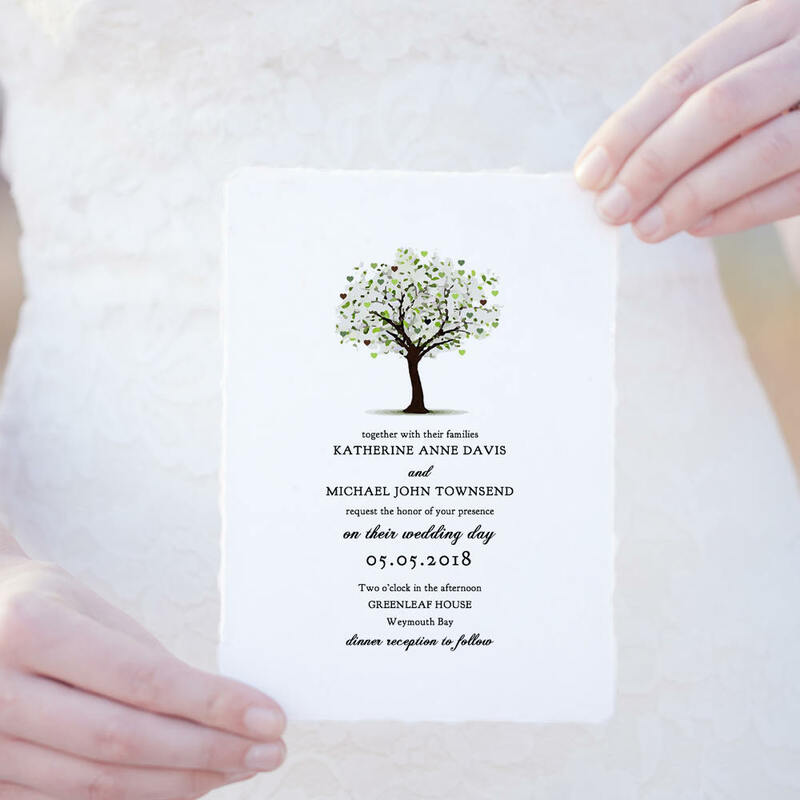 Tree wedding invitations set, or garden invitations. 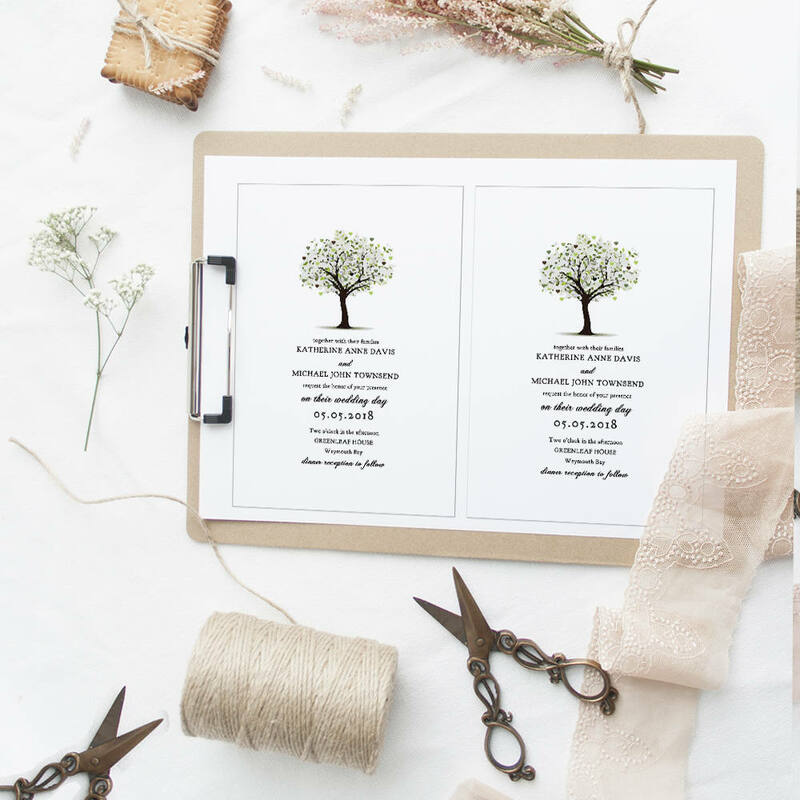 Editable, printable templates to instantly download and input your own wording. 'Tree of Love'. The tree has little hearts inside. Edit the body text with your own wording. Change text colours, delete words, move them around. *The headings 'info' and 'details' are shapes which you can resize, remove, reposition, recolour. 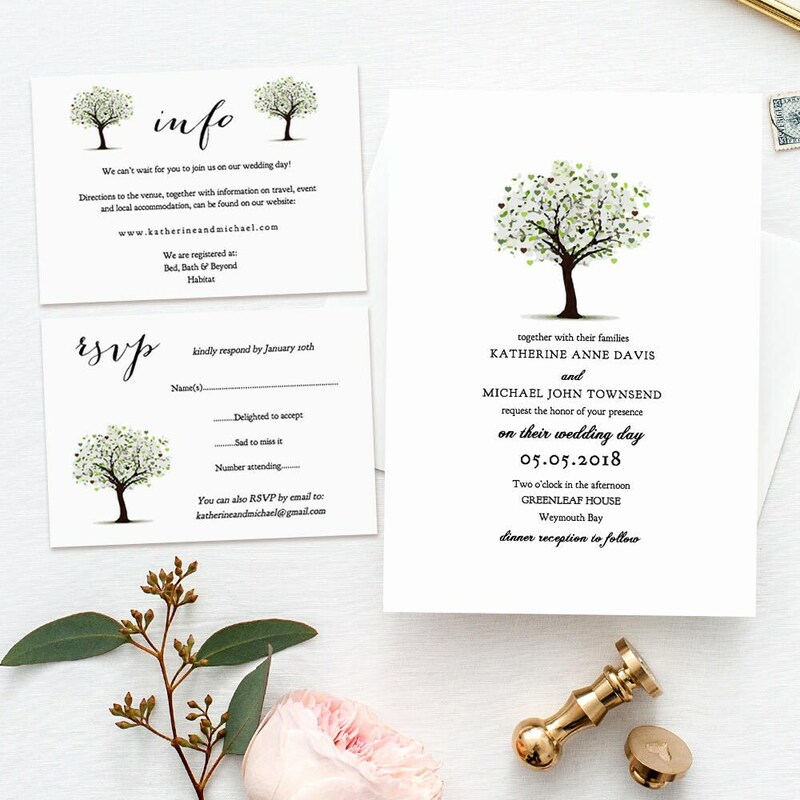 *This listing is for the wedding invitation set: Invitation, rsvp card and info card templates - Microsoft Word template. Instant download. For other items, see the links below. •	Change the body text/wording in the file. Tree - move it around, make it smaller, duplicate it.